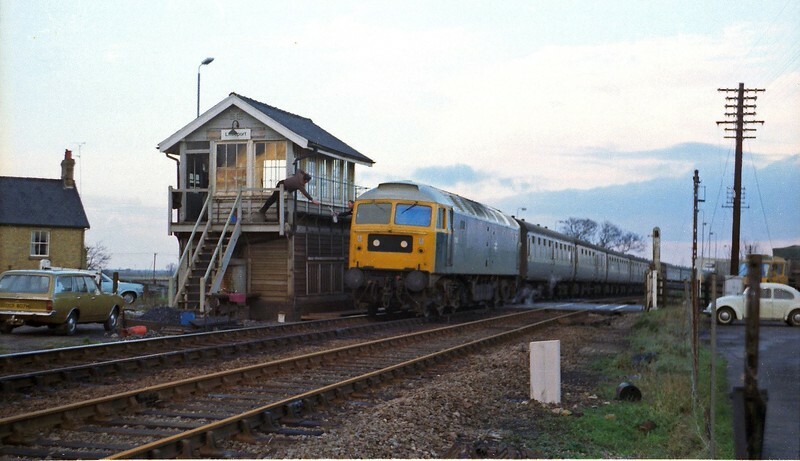 Litteport on 29th December 1979. Single line working is in force between here and Denver and the crew are handing back the single line token. The working is the 1330 from Kings Lynn with 47156.